Today at an event in Beijing, the Xiaomi smartphone manufacturer has launched its latest smartphone, called Mi6 which is one of the most anticipated flagship devices of 2017. 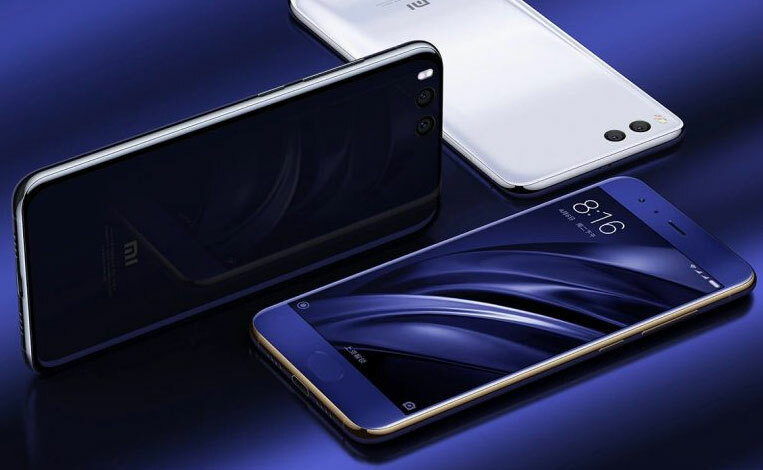 The new Mi 6 comes in two memory variants and main key attraction features of the handset are its dual rear cameras, Qualcomm’s latest chipset, massive RAM and bezel-less display with four-sided 3D glass design. The company delivers all new design for the handset which comes with metallic frame and borderless display. Talking about its specs and features, the Xiaomi Mi 6 has provided its RAM to 6GB that is good enough for smooth multitasking. It is using a 5.15-inch diagonally and sports full-HD that carries a resolution of 1080×1920 pixel which maximum brightness is 600 nits but it can be reduced automatically from eye-strain. The phone is mere 7.45 mm thin and weights around 168grams, full dimensions are 145.17 x 70.49 × 7.45 mm. The dual nano SIM supporting smartphone runs on MIUI 8 based on Android 7.1.1 Nougat out of the box. Inside the Mi 6, it is powered by Qualcomm’s latest processor, touted as Snapdragon 835 which is clocked at 2.45GHz Octa-Core CPU along with Adreno 540 GPU. The device is available in two memory variants – 64GB and 128GB, but there is no microSD card slot. It is backed by a 3350 mAh non-removable battery with Qualcomm Quick Charge 3.0 and 18W fast charging. The company claims that the battery can easily give full day back-up from battery-saving tricks in MIUI. In the terms of camera, it sports 12MP + 12MP dual rear cameras with dual-tone LED featuring Optical Image Stabilization and capable of 4K video recording. On the front side, there is an 8MP of secondary camera. As for the Connectivity options, the Mi 6 supports both 4G and 3G networks with up to 600Mbps download and 100Mbps upload speeds. The phone comes with WiFi 802.11ac dual-band, Bluetooth 5.0, GPS, NFC, USB Type-C port, but the most obvious thing is the phone doesn’t have a headphone jack. The Xiaomi Mi 6 is available in two variants – 6GB of RAM with 64GB of internal storage for CNY 2,499 (approximately Rs. 23,500) and a higher-end variant is 6GB of RAM with 128GB of internal storage for CNY 2,899 (approximately Rs. 27,000). The handset also comes in Ceramic version, which comes with 6GB of RAM and 128GB of internal storage that carries a price tag of CNY 2,999 (approximately Rs. 28,000). To get more information about Xiaomi smartphones, stay tuned with us.